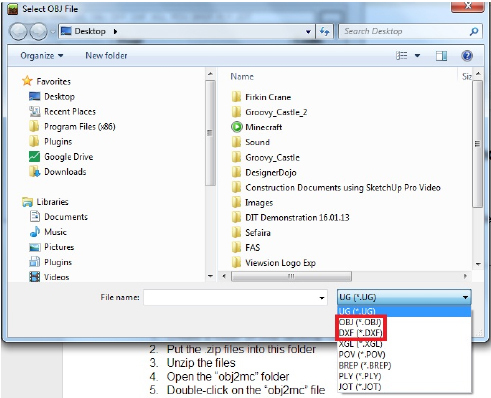 binvox & viewvox available here You can install these program files anywhere on your system. Put the .zip files into this folder. Click on the “select” button (the 3 dots) This will open the file selection window. The file will be converted to a “.schematic” file. Open the MCedit software and import the .schematic file that you created. 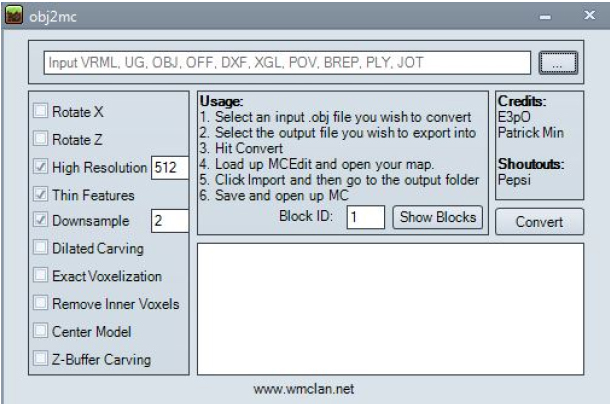 You can find out more about how to import, orientate and position the file using the MCedit tool here. When you have edited your world you can then open and play with it in Minecraft!